BRUSSELS (Reuters) -- New cars sold in the European Union last year emitted 4 percent less carbon dioxide than those sold the previous year, data from the European Environment Agency showed, although environmental campaigners said the improvement was exaggerated. The decline in carbon dioxide emissions from cars to an average of 127 grams per kilometer means carmakers easily achieved the European Union target of cutting emissions to 130g/km two years ahead of a 2015 deadline. 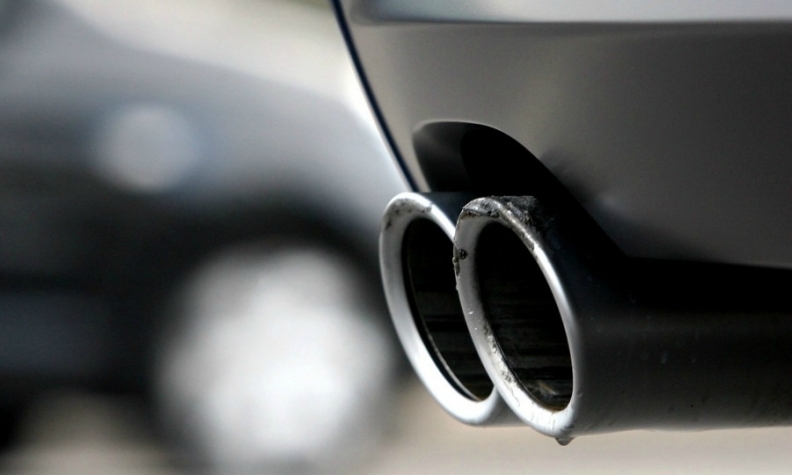 Set in 2008, that target was Europe's first legally binding CO2 standard for cars. It was cut further late last year, after months of haggling, to 95g/km by 2021 -- the toughest car pollution standard in the world. EU Commission research has shown, however, that automakers have exploited test loopholes to make their cars seem more fuel efficient than they are in real-world driving conditions. Techniques such as using tires with extra traction or driving on an unrealistically smooth road surface could account for about a third of the recorded drop in average CO2 emissions across the EU between 2002 and 2010, the research found. The auto industry has repeatedly resisted more rigorous goals, which require it to invest in fuel-efficient technology to cut emissions blamed for pollution and health problems as well as climate change. The 2021 deadline was a year later than the Commission, the EU executive, had proposed after Germany, home to makers of luxury cars, such as Mercedes-Benz, BMW and Audi, led the calls for more time. Campaign group Transport and Environment (T&E) urged the Commission to introduce new vehicle testing rules sooner rather than later. "Fuel-efficiency standards for vehicles are Europe's single most effective policy to drive down CO2 emissions, but are being undermined by an obsolete test," Greg Archer, clean vehicles manager at T&E, said. For 2013, the EEA's figures showed average emissions across the EU fleet were 127g/km compared with 132.2g/km in 2012, but it also said rising traffic volumes will mean cleaner cars are only part of the answer. Overall transport emissions rose by about 17 percent between 1990 and 2012 and they account for about one-fifth of the EU's total CO2 emissions, the EEA said. "We need to think about more sustainable transport systems -- the car cannot solve all our problems in the 21st century," EEA Executive Director Hans Bruyninckx said. The numbers are provisional because although the collective target has been met, inspectors have not yet checked whether individual carmakers have met their individual goals.